It ain't summer yet but that scorching hot weather that started weeks ago seems like it's time for a long vacation! May it be in cold places like Baguio and Tagaytay, beautiful beaches in Boracay and Bohol or even travel abroad to enjoy the unique scenery, all these can truly be a great way to bond with the family or just chill with your travel buddies. Traveling is my favorite stress reliever but I must honestly say that it can be very expensive. But sometimes, you just have to look for ways to make your budget fit your desired destination, itinerary and all the other travel expenses. 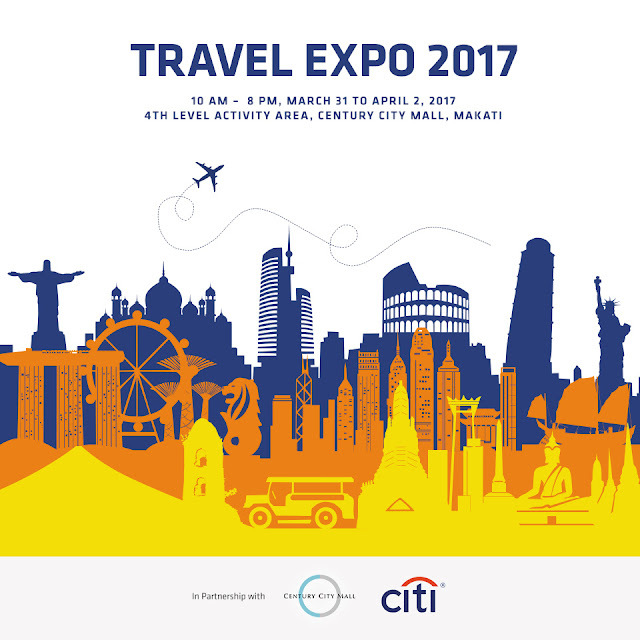 In my experience, I usually wait for seat sales as well as travel expos because you can really avail amazing discounts and offers from them. Good news is that there's an upcoming travel expo organized by AsiaTravel.com, and in partnership with Citibank, which will be on March 31 to April 2, 2017 at the 4th Level Activity area of Century City Mall from 10:00am to 8:00pm. The Travel Expo 2017 will feature sales of up to 75% off on international and domestic travel packages so make sure you visit them when you can because this is such a great steal! Also, if you happen to have P2,000.00 single or accumulated spend in any Century City Mall establishments from March 27 to April 2, 2017, you will receive P1,000.00 worth of AsiaTravel.com vouchers that you may use during the Travel Expo. I'm sure this will be an awesome event especially to those who love to travel and would want to spend less for their summer getaway. Hope to see you there this weekend! As we celebrate International Women’s Month this March, Nutramedica Inc., is encouraging women to let everyone know what is it that is on their minds and to know what exactly are their rights. May it be in society or otherwise, women have excelled over the years, creating a sense of socio-equality that every female across the globe shall be proud of. With the “Be bold for change” theme, a very subjective manner of approach to the present era where women are called to lead and influence. 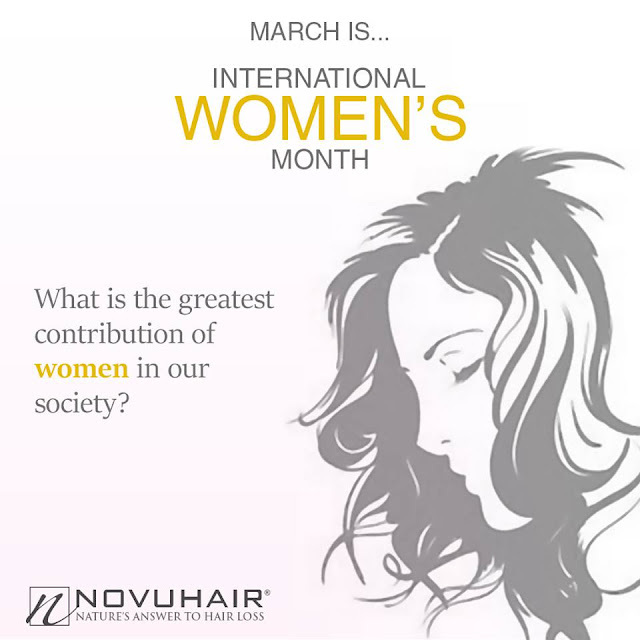 Novuhair calls for the same thrust. Novuhair Topical Scalp Lotion, Shampoo and Conditioner are available in all Mercury Drug Stores and other leading drug stores nationwide. For more information you may visit their Website and follow them on their social media accounts: Facebook, Instagram and Twitter for updates on ongoing promos. @novuhairofficial. For those who are interested to order, you may call 4136570/09228830575 or purchase online at Lazada and Regalo Service. Jollibee has been a pioneer when it comes to themed birthday parties for kids, and this year they added a new one that our little boys and girls would surely love. JolliRace is for those kids who love cars and racing, as the theme will involve Jollibee characters as racers at a Grand Prix. Boys and girls will have a blast on their special day with balloons, relay games, awesome prizes, and a delicious cake prepared to give them a birthday party set at full speed. To give everyone a preview of how fun and exciting Jollibee's newest party theme is, they've invited the media to a JolliRace event last Saturday at Jollibee E. Rodriguez. Gracing the event was Radio personality Delamar Arias was with her sons Cooper and Parker and celebrity mom Bettina Carlos with daughter Gummy and nephew Camilo Marco. For inquiries and reservation, visit a Jollibee branch near you. You may also check out their Website for more details. Disclosure: This is a sponsored post but all the opinions stated below are mine. Whenever I am invited to attend parties or formal events, I try to put on a bit of makeup to look quite presentable. I am not really good at it but I can do a decent day/night look that I guess, suits the occasion. But when it comes to fixing my hair, I am totally clueless as to how I can play with my hairstyle, may it be an up-do, a few braids here and there or curls. I just had to brush it, and I'm done which is honestly makes me feel and look boring at times. Then I browsed the net to look for easy hairstyles, and I stumbled upon a website that caters to different types of hair wigs. I was hesitant at first because i felt like it would be awkward to wear a wig but when I saw the products, it really looked real and natural. Black Hairspray is an online shop that offers everything that has something to do with our crowning glory may it be for hair care, hair accessories, skin care, beauty products, cosmetics, as well as beauty tools. They are authorized sellers of well known brands such as Milky Way, Freetress Equal, Sensationnel, Outre, Model Model, Isis Collection, Bohyme, Saga Remy, Goddess, Velvet, Janet Collection, Vivica Fox Collection, Hollywood, Zury, It's A Wig!, New Born Free and a whole lot more. But what I really liked out of all the products of Black Hairspray is their Half Wigs which are comfortable and reliable wigs that literally, covers on the half of your hair to allow you to blend it in with your natural hair at the front to give you a natural, beautiful look. The half wigs have double combs and adjustable straps that offer reliable security with no worries. You also get to choose whether you want your wigs made of human hair or synthetic whichever you prefer. Choices are endless as you can choose from straight, wavy or curly at different colors. So if you are looking for an easy way to change your hairstyle within minutes, I suggest you visit Black Hairspray and purchase their beautiful wigs that are very affordable. Plus, they offer a convenient, no hassle, 30 day return policy, price matching guarantee and offer in-house live chat customer service for everyone. Lastly, if your order is $50 and above, you get free shipping. To learn more about Black Hairspray, kindly visit their Website and be amazed at the huge selections they have for you. Happy Shopping! Women have experienced a very long and hard journey before they finally achieved the "equality" they've been trying to attain in this society. At present, we are now able to pursue our dreams that truly make us happy rather than force ourselves to satisfy others expectations. Today, women can now choose to be either a hands-on mom or a career woman which are both challenging yet we choose to love what we do for the sake of our loved ones. Sometimes, we even overlook the reality that we are pushing ourselves too much on work that we tend to forget to take a break every once in a while. So this International Women's Month, I would like to praise every women for their accomplishments as well as the struggles that they surpassed. I would also want to remind everyone that it's not bad to pamper yourselves because this can be a very good way to feel recharged or to destress. Personally, I love visiting salons for manicure/pedicure or watch a movie at home to feel relaxed. But my favorite pampering session is going to a derma clinic for a facial. Although the pricking can be a bit painful, the end result, after the mask, can be very refreshing. 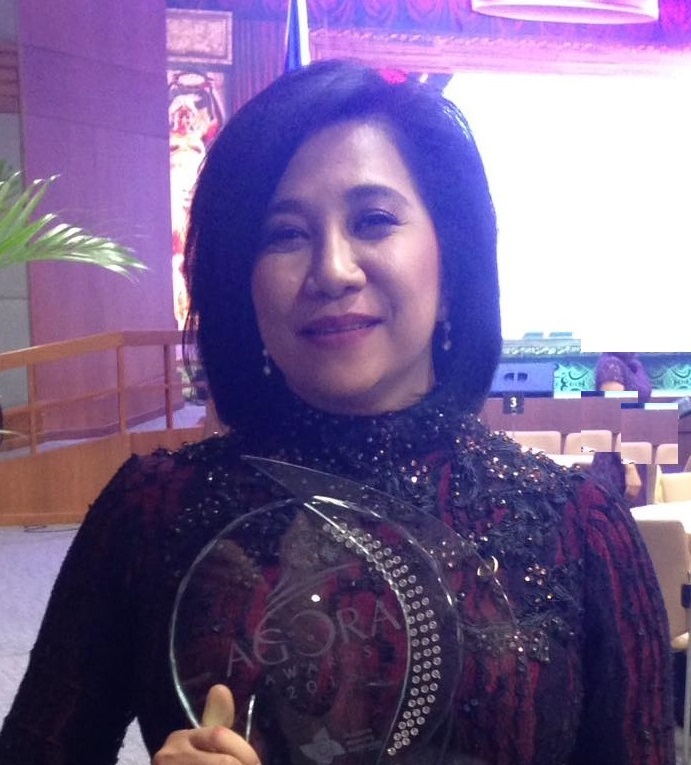 Just to give you a bit of background on Diana Stalder, it is actually the name of the President and Chief Executive Officer, Mrs. Dina Stalder. This aesthetic hub has been in the industry for more than 20 years which generally provides a holistic approach to beauty whole incorporating the science of dietary nourishment for guaranteed better result. Among its impressive line-up of quality skincare remedies, Diana Stalder Eyebag Treatment is a must-try to get rid of those unwanted dark circles underneath the so-called “windows of the soul.” It is a painless and non-invasive procedure that uses electric micro-current to minimize the fine lines, dark areas and puffiness under the eyes. Another popular treatment at their clinic is the Diana Stalder Dermalift. Such revolutionary, non-surgical technique utilizes micro-current to stimulate the production of the skin's natural collagen and elastin which lifts the skin tones the area along the jawline and cheekbones. It also smoothens the expression lines lessens the large pores, and make the lines around the mouth are less apparent. Visible improvement on skin texture and brightness are noticeable on single treatment but multiple sessions are required for better results. But what really caught my attention was their Painless Facial Treatment which Mrs. Dina generously offered to us for free during the event. It lessens the trauma as it uses desincrustation to facilitate deep pore cleansing. During this process, galvanic current is used to create a chemical reaction that softens and relaxes sebum and dirt in the follicles for extraction. It’s ideal for oily and breakout-prone skin. As for added benefits, this treatment brings nutrients and oxygen to nourish the skin and it also improves the color of sallow, sluggish skin. What made my experience even more satisfying is that they applied one of their newest Casmara Product, the RGnerin Mask. It is a harmless alternative to Botolinum toxin, and it is a powerful cell regenerator and a wrinkle filler from within. It is made up of Argireline that inhibits repetitive facial movements; Structurine, which restores the skin’s protective barrier; Cohesine for improved the cohesion between the cells; and Recoverine to regenerate and balance the skin. The mask contains linseed (organically grown), with soothing, emollient and softening properties; and Aloe Vera (organically grown) for soothing, toning and regenerating action. Check out how I looked after the pricking, once the mask is placed and how the mask literally made my face look younger and refreshed, although the marks from the pricking are still visible which you normally get after a facial. I really liked the Painless Facial Treatment, although I was a bit uncomfortable during the Galvanic Treatment because it was my first time, it was worth it because unlike all the other facials I've tried before, I can actually talk, use my phone and relax while the aesthetician was pricking my face. The mask was also very rejuvenating and obviously, the end result is realy good. For continuous skin care, you will be adviced to use a kit depending on your skin's needs which you can purchase at the front desk. They offer internationally known products that are created at the Stalder Laboratories. What I also loved is that you can bring home the mask that was used during your session and use it for 20mins prior to bedtime. After the treatment, we indulged in healthy refreshments from the dS Cafe, which is also located within the skincare center. Patrons can never go wrong with the food choices in this nutritional diet haven––from a variety of low-calorie, skin-friendly organic greens to protein-rich dishes with fibrous brown rice, zesty healthy sandwiches, and fresh fruit juices. Again, I am reminding you that being a hardworking and busy woman for your fanily is something that you can be most proud of but never ever forget to take a break every once in a while and pamper yourselves! I would also like to take this opportunity to thank Ms. Marikit and Mrs. Dina Stalder for accommodating us! I highly recommend that you visit Diana Stalder and DS Cafe which are located at SM Megamall (5th Floor Bldg A) and at Gateway Cubao. For inquiries or if you want to schedule a session, you may visit their Website or call 09228699717. You can also follow them on their social media accounts: Facebook, Twitter and Instagram to get updates on their latest offerings as well as ongoing promos. May it be for breakfast or merienda, Gardenia has been a staple food item at home. Every time we go to the supermarket, it is a must to purchase a bag of Enriched White Bread from Gardenia. Then, we buy a sandwich spread to pair with it but most of the time, we eat it as it is because it tastes good with or without spreads/filling. I also love the Chocolate Chip Loaf, with a generous amount of real chocolate chips, which the kids enjoy munching while they play or watch TV at home. But what I truly like about Gardenia is that they continuously produce new products that are delicious yet affordable and recently they launched the newest addition to their wide range of breads and pastries: the Pocket Sandwich, and I am very happy to be one of the first to try it. The Gardenia Pocket Sandwich is available in two flavors: Chocolate and Peanut Butter. 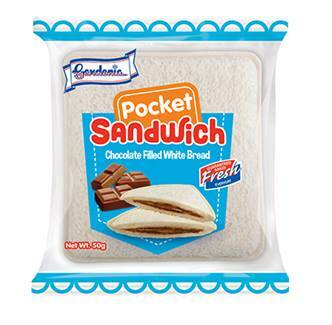 The Gardenia Chocolate Pocket Sandwich is made up of their signature soft and creamy white bread filled with rich chocolate and sealed to lock in its goodness. 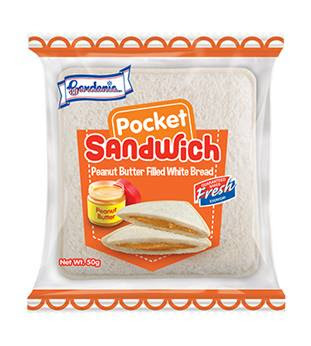 The other variant is the Gardenia Peanut Butter Pocket Sandwich which is again, made up of soft and creamy White Bread but this time, it is filled with luscious and milky peanut butter and sealed to lock in its goodness. Both are high in Iron and Folate which contributes in forming red blood cells and hemoglobin, Vitamin B1 which helps release energy from proteins, fats and carbohydrates and it is a source of Vitamin A which is essential for the function of the eyes. The Gardenia Pocket Sandwich is highly recommended for kids and the kids at heart especially with its cute packaging that is made perfect as a baon/snack. Let me share to you photos of me and my family enjoying the yummy treats from Gardenia (excuse the background, lol)! Better grab some of these yummy treats when you do your weekly grocery because these are now available in all leading supermarkets nationwide for only P15.00. For such an affordable price, you get to enjoy freshly baked sandwich that your whole family will enjoy! To know more about all the other products that Gardenia has in store for you, visit their Website and follow them on their social media accounts: Facebook, Instagram, Twitter and Youtube. Join Power Mac Center's Summer Workshop for Kids! April is fast approaching which means, kids will be on a summer break for 1-2 months. They either chill at home, enjoy longer hours of sleep, more time to play and this is the season where they usually look for things to do such as workshops and sports clinics. 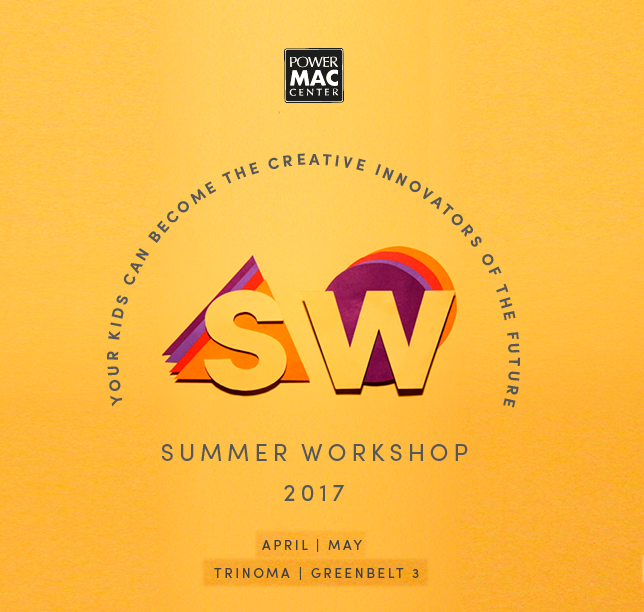 But if you are looking for a cool and exciting learning experience for kids this summer, you might want to check out The Premier Apple Reseller, Power Mac Center's most creative, fun, and colorful set of workshops this 2017. You may submit your inquiries to pbsi@powermaccenter.com or contact the following numbers: (632) 553 4211 / (632) 553 6399 / +63 908 885 6277. If you want to know more about Power Mac Center's products and services, visit their Website and you can follow them on their social media accounts: Facebook, Twitter, and Instagram for updates on latest promos. Living for almost 27 years now and I can proudly say that Colgate-Palmolive has been a part of me and my family's lives specifically when it comes to hygiene. This year marks their 9th decade operating in our country and it would be a nice way to celebrate this milestone through fun trivias about the quality brands under Colgate-Palmolive. Palmolive Naturals shampoos and cream conditioners, aside from being the number one Personal Care Beauty Brand for 4 consecutive years (2013-2016)*, has helped launched the careers of the actresses who have appeared in its commercials. Axion was known for its dishwashing paste before it launched the liquid variant. With its slogan, The Grease-Cutter, memorable ads that begin with “O Sebo Layuan Mo Ako” and a series of ads dubbed, “Hamon ni Rosa, Axion Bida” made the brand popular in many households. Axion's powerful grease-stripping formula eliminates dirt and tough grease from your plates, pots, and pans. Both dishwashing paste and liquid come in two scents: calamansi and lemon. Colgate’s portfolio includes kids toothbrushes and toothpastes across age groups with fun characters such as Barbie, Spiderman and Minions. Colgate’s ubiquitous brushing song, Brush BrushBrush 3x/day, remains to be popular among Filipinos, young and old. It was indeed a very success 90 years for Colgate-Palmolive and I'm pretty sure they will continue to provide the best quality of oral, personal and home care products for every Filipino family. Cheers to more years and Congratulations! To know more about their newest products, visit their Website and to get updates on their ongoing promos, you may follow them on their social media accounts: Facebook, Twitter and Instagram. Back when I was still a vocalist of an acoustic band, Marikina was known to be a place where you can go bar hopping or if you just want to chill, eat, unwind and listen to musicians, either acoustic or live band and drink a cold bottle of beer with your friends. Well, that was like 7-8 years ago, but today, Marikina City is now more commonly known as a haven for foodies as food parks and restaurants keep mushrooming everywhere. Last week, I was able to try 6 restaurants in the newly opened Carnival Food Park which is located at 87 Mayor Gil Fernando Ave, Marikina City. I've been wanting to visit the place ever since I saw them on Pop Talk (GMA News TV) then all of a sudden, a friend asked if I wanted to come over and taste some of their best sellers, and I excitedly answered yes! I've visited a few food parks in the metro but this is my first time to see such a vibrant, colorful and interesting place that will surely bring you back to your childhood. Their carnival theme definitely works well in making anyone who passes by or sees their photo in social media feel curious as to what they have in store for everyone. Now on to the food. I brought 5 blogger friends with me and we were invited to try 6 restaurants: Brewskie Pasta Hub, Kuxina, Sushirrito, Planet Sausage, Hip-On and Havey Desserts. Let me share to you what we had for dinner that night. Brewskie Pasta Hub, owned by Oliver Canlas, is a restaurant that serve uniquely crafted pastas with unusual flavors and ingredients. Their original plan was to put up a stall that would serve beer chows but since Carnival Food Park has that family vibe, they decided to think of something different and Pastas worked out quite well. Wen Manong Pasta is their best seller which is a Fettuccine Carbonara with Bagnet and Longganisa. They actually order their Bagnet from Ilocos because they want theirs to have that legit taste and texture. I definitely enjoyed this creamy and flavorful pasta especially the crunchy Bagnet that made this pasta sinful and addictive. I recommend that you try this when you visit Carnival Food Park. I also find this Oriental Sauce Pasta delicious which tasted like Yellow Cab's Charlie Chan. When asked if that was their inspiration in creating this dish, they explained that they wanted to create a chicken dish which was one of their specialty for their beer chow idea but since there was already a tenant that serves chicken, they decided to just incorporate it in this dish and the Kung Fu pasta was born. Check out Brewskie Pasta Hub's Facebook and Instagram to know more about their dishes and to be updated for any ongoing promos. If you love rice meals or you're craving for delicious Filipino cuisine, you should visit Kuxina which is a restaurant owned by mother and son Elena and Laurence Lagamson. Their menu is actually composed of their favorite Pinoy dishes such as the best sellers Tapaleng and Crispy Kare-kare that we were able to try during our visit. This specialized sweet chili beef tapa is served with fried egg, freshly chopped tomatoes and salted egg on top of a generous amount of rice. I love how it was placed on a mini frying pan that made it very appealing to hungry customers. I enjoyed the salted egg which was not too salty compared to those I've tried before and the tapa which was tender and flavorful. Their Crispy Kare-kare is composed of rice, topped with lechon kawali and their homemade sauce with bagoong on the side. I've always loved the concept of having crispy pork as the kare-kare meat but the sauce was a bit sweet for me. But if you like your sauce sweet then I suggest that you try this dish which I think is good for two persons. For sisig lovers, I'm sure you'll be able to finish an order of their Sisig Roll which is made up of Spring rolls stuffed with Sisig drizzled with special garlic sauce. A great dish that can either be paired with rice or with an ice cold beer. Thumbs up for not being too oily and for being crisp! Follow them on their social media accounts: Facebook and Instagram to know more about their offerings. If you are into Japanese food like me, I suggest you try Sushirrito which specializes in Sushi and Burrito fushion. Yes, you read it right! Your favorite sushi is now available in huge burrito size servings. Owned by Ms. Charmaine Reyes, Sushirrito was created, with the help of Chef Marco Bitong, to give Sushi lovers a one-of-a-kind dining experience as they chew on humongous California Maki, Beef Misono, Chicken Karaage and a whole lot more flavors that you can choose from. The Chicken Karaage wasn't crisp enough maybe because we were able to try it like 20 minutes after it was served but the meat was tasty. The Beef Misono is flavorful but can be quite hard to chew, again maybe because we were too busy taking photos that it took as a while before trying the food. Don't get me wrong, I loved the flavors of both items! I'm pretty sure that both taste better when eaten freshly prepared, unfortunately, we were preoccupied into taking photos of all the food delivered to our table. But the California Maki is just brilliant. It is very delicious and addictive. I highly recommend that you order this. I know it is pretty huge but for sure, I can finish an order of this in one sitting. But I just have to point this out, they will not slice the Sushirrito into tiny pieces because the essence of it being a Sushi-Burrito will be disregarded if that happens, so be prepared to use your bare hands when eating this. You won't regret that you did, I promise. Follow them on Facebook to know what other items they have in store for everyone. Meat lovers, you have to visit Planet Sausage and enjoy different kinds of grilled sausages such as Chicken Franks, Schublig, Longanisa, Beef Franks, Swedish, Hungarian and Garlic Sisig. You may opt to enjoy yours in a bun, on a stick, with rice or better yet, order their sample platter. Zesty Saturn is any type of sausage wrapped in bacon. A very sinful snack with a bit of fresh veggie cuts on the side. I tried it and i must say that the sausage is juicy and seasoned well. If you want to add carbs on your sausage, you may opt to choose the Saturn-in-a-bun with free fries or chips. They also have other sandwiches that seems very interesting such as the Mars Attack (red bun) and the Black Hole (black bun). My personal favorite is the Pluto Platter because obviously, you get to enjoy and try all the different types of sausages that they offer at Planet Sausage plus they throw in a few chips that I definitely loved. Another great bar chow you can order for you and your friends at a very affordable price. Visit their Facebook and Instagram page to know more about their best sellers and to be updated on their latest promos and discounts. If you want to enjoy seafood that are fresh, delicious, with huge servings and affordable, you should visit Hip-On! Owned by Mrs. Ma. Pacencio Dancel, mother of my high school classmate Michael (which I honestly didn't know until I saw him at the food park), Hip-On serves fresh Palawan mussels as well as Crabs and Shrimp from Bicol. Again, this wasn't their first choice as their business but because food parks do not allow restaurants with same concepts, they tried out seafoods as their main ingredients. Good thing they picked this because we are now able to taste amazingly good Hip-On dishes! You can order mussels, crab or shrimps or generous amount of all the seafood mentioned then you pick the flavors seen at the menu such as the Cocopurry (coconut milk in curry spice sauce), Butter N' Garlic, Sugar N' Spice, Peppa's Oil (Stir fry Vigan longganisa over oil) or the Salted Eggztreme (Cream based salted egg sauce). The mussels with butter n' garlic are delicious but I find it a bit dry. But what I truly enjoyed was their Salted Eggztreme Platter. How I wish they gave me plastic gloves because I would've devoured and dissected that crab till its tiny legs. Still I tried my best to taste everything on that platter using my utensils and the sauce was just divine! This is legit salted egg sauce. I've tasted several salted egg sauce but this is one of the best, in my opinion. They also serve fried dishes like the Calamares with vinegar dip. It is quite tasty and I love the fact that it is not too oily. Great food with matching beer or may be eaten with rice. You might want to follow them on their social media accounts: Facebook and Instagram for ongoing promos and newest offerings. Last but definitely not the least, dinner will never be complete without the sweet and delicious desserts. After a heavy meal or an afternoon snack, visit Havey Desserts to order moist cupcakes, chewy brownies and chocolate chips topped with ice cream. Havey Desserts started as a home-based bake shop that accepts customized cake/cupcake orders for special occasions. Owned by husband and wife Carl and Angel Bautista, they now offer different types of cupcakes and pastries that are from Ms. Angel's original recipes. We were able to taste their Yema Cupcake, Nutella Cupcake, Revel Bar, Red Velvet Cupcake, Double Chocolate Chip Ala Mode and the Nutella Stuffed Chocolate Chip Cookie Ala Mode. I love the moist cupcakes and their not too sweet icings on top especially the Yema Cupcake which I very much enjoyed eating. The red velvet cupcake was a bit heavy compared to the first two which makes it quite dry.I just wish that the cake was moist like the others. But the taste and the icing was superb! I'm not a fan of revel bars but Havey Desserts' are not as dry as what I've tried before and it has a generous amount of chocolate. My sister will definitely love this! The Havey Cookies are 7in cookie cakes that are topped with ice cream and chocolate drizzle. They are good for sharing and but they also have cookies per slice as well as a choco-chip platter which is composed of 30pcs mini chocolate chip cookies with a cup of cold fresh milk! But what I loved most is their Nutella Stuffed Chocolate Chip Cookie Cup with Ice Cream. The cupcake was moist with a generous amount of Nutella inside and topped with yummy vanilla ice cream drizzled with chocolate and sprinkled with what seems like crushed graham. Highly recommend!!! Make sure you drop by at Havey Desserts and get a cupcake or two for takeout. I'm sure your family/friends will love them as much as we did. Don't forget to follow them on Facebook and Instagram to check out all of their baked goodies! It was indeed a tummy-filling night and I would like to thank sir Carl for inviting us over as well as to all the other owners that accommodated us during our dinner. Truly, Carnival Food Park is a one of a kind foodie destination that will not only give you an awesome gastronomic experience but will surely make your every visit memorable. I recommend that you guys visit the place asap! To know more about Carnival Food Park, follow them on their Facebook and Instagram accounts. PS: Will definitely bring my family at Carnival Food Park because I would love to try their Videoke Hubs there! Yes, they have air-conditioned karaoke rooms for those who want to belt out their favorite songs as they munch on great food and drinks. See you then! Are you taking the right Vitamin C for you?